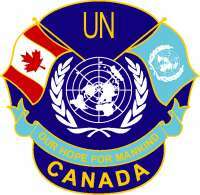 WE ARE CAPE BRETONERS, WHERE MANY OF US IN THE ARMED FORCES AND POLICE, HAVE SERVED IN MANY PARTS OF THE WORLD. WE ARE PEACEKEEPERS, TOGETHER WE ARE INTERESTED IN CANADA'S PROUD TRADITION IN RESTORING INTERNATIONAL PEACE AND SECURITY, ESPECIALLY FOR THOSE WHO MADE THE ULTIMATE SACRIFICE AND WE HONOR THEM. General Lewis MacKenzie was born in Truro, Nova Scotia a long time ago. He is a graduate of Xavier Junior College of Sydney, Cape Breton and the University of Manitoba. 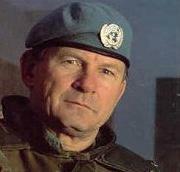 During his thirty six years of military service in the Infantry he served nine years in Germany with NATO forces and managed to fit in nine peacekeeping tours of duty in six different mission areas - the Gaza Strip, Cyprus, Vietnam, Cairo, Central America and Sarajevo.